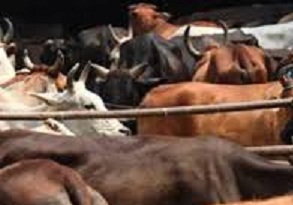 A 47-year-old man who allegedly instigated a mob that attacked four men suspected of stealing cow last week leading to the death of one was arrested from Assam’s Biswanath district, police said on Tuesday. The report further stated that a VDP is a primary unit of the Village Defence Organisation (VDO) and assists the police by being the first responders in any emerging situation at the grassroots level. Deben Rajbongshi (35) died while three others – Phoolchan Sahoo, Bijay Nayak, and Pujen Ghatowar – were injured when they were attacked by a mob on August 15 in Diplunga Tea Estate. Fourteen people have been arrested in the case so far. The police claimed to have recovered two cows and the vehicle in which the four people were allegedly travelling on the day. The victims, however, have claimed that they had gone to purchase pigs when around 30 people, many armed with sticks and rods, attacked them.